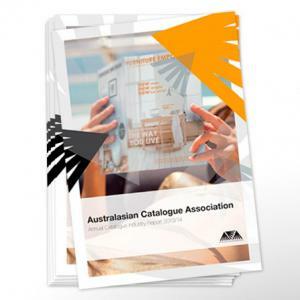 The annual ACA (Australian Catalogue Association) industry report just hit our desks. It contains fresh insights garnered from research by Roy Morgan, PwC's Entertainment and Media Outlook, Nielsen, Australia Post and other sources. If you're a marketer who is looking at how to create more web traffic; or how to create more consumer engagement; or how multi-channel marketing can increase your ROI, it's well worth an in-depth read. But for now, here are some top-line highlights - these are metrics you may not be receiving from your traditional media planner. 1. Consumers Vs Marketers. When asked to rank the most effective advertising channel in influencing their purchase decisions, consumers ranked catalogues #1. Marketers ranked them #4. "Clearly there is a disconnect in what Australians are saying works for them and what marketers think works." 2. Do young people read catalogues? You betcha. An average 58% of 14-24 year olds say they read catalogues compared to 12% reading online. *These are big numbers and shouldn't perhaps be taken absolutely - but are you getting anything like that kind of feedback from your current media selection? 5. Catalogues account for nearly 10% of the total ($14 Billion) Australian marketing spend. We're not advocating that this percentage be how much of your budget you should allocate to catalogues - many advertisers spend a lot more, many spend a lot less. Sadly, some, who haven't seen figures like you see here, don't even consider catalogues in their media mix..
6. The catalogue category is growing. Not dying, as some have predicted, growing. Where's the growth coming from? Ironically, some of it is coming from online retailers who are creating a more engaging, branding style of catalogue that is designed to send their target audience to their online site. Automotive and hardware segments continue to grow. Communications companies and government are also hopping on board. And of course, department stores - despite all the press around online advertising, these big spenders increased their catalogue usage over the past 12 months. The ACA's 2013/14 report is the most research based document on our industry we have seen in many a long year. You can request a copy by going to the ACA website. The research clearly shows catalogues are not stuck in the past. They can be, and should be, a vital part of many marketers' current campaigns. Especially when a multi-or omni-channel approach is taken combining offline hard copy catalogues with online software (such as our own Caszine) for extra engagement without the high cost of a bespoke app. We know that catalogues aren't for everyone. But given their proven power to influence buyers, they should at least be considered. Ask your planner what they think.